Aki Tanaka | Littler Mendelson P.C. 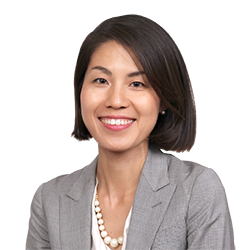 Aki Tanaka focuses her practice on international employment and labor law, particularly in Japan, her native country. Before joining Littler, Aki was a partner at a firm in Osaka, Japan. She represented and counseled American and European clients doing business in Japan, as well as Japanese domestic clients, with regard to various international business matters with particular emphasis on employment and labor matters. For three months in 2011, she was seconded to a multinational consumer goods company as an in-house counsel, where she provided advice to clients in the company, drafted legal memos and reviewed contracts. During law school, she was an international intern with Littler's Boston office, where she researched international employment laws and attended hearings at federal and state courts as well as the Massachusetts Commission Against Discrimination (MCAD). Aki has completed a one and a half year legal apprenticeship with the Supreme Court of Japan Legal Training and Research Institute in Saitama, Japan, and also is a graduate of Kyoto University in Kyoto, Japan.